Mgirl07 requested for a makeover so here it is. Bracken1234 is next to get a makeover. I think the eyeliner is a little too dark for her. I changed it to a sky blue colour. I admit the 'After' lips are not as good as the original. I do not like the vest. I replaced the jeans with shorts and the long sleeve shirt with a short one. This is more of a 'summer' outfit. I want a makeover. 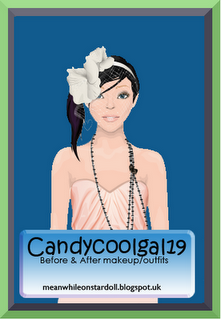 My stardoll username is PunkBrunette5. No offense but I like her medoll more before- just my opinion. 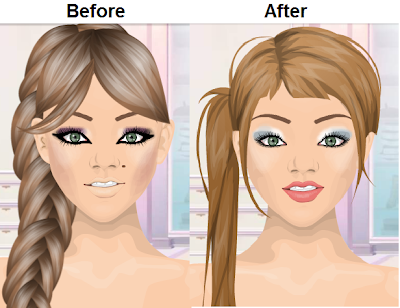 Nice makeover (: Simple. but still good!